Do you need quick delivery of your letter or parcel? Choose the striking Royal Mail Red First Class Stamps with a self adhesive backing to meet all your postal requirements. 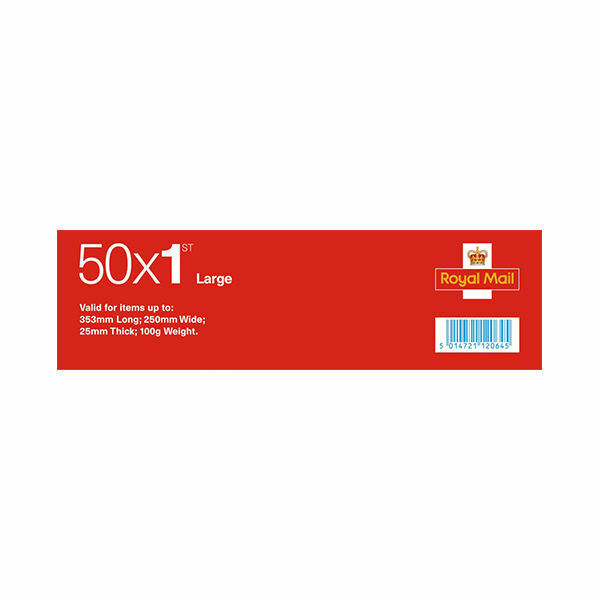 Business Sheet of 50 x 1st Class Revised Colour Large Letter Postage Stamps by the Royal Mail. A must have for large letter or parcel posting up to 353mm x 250mm and weight of 100g. 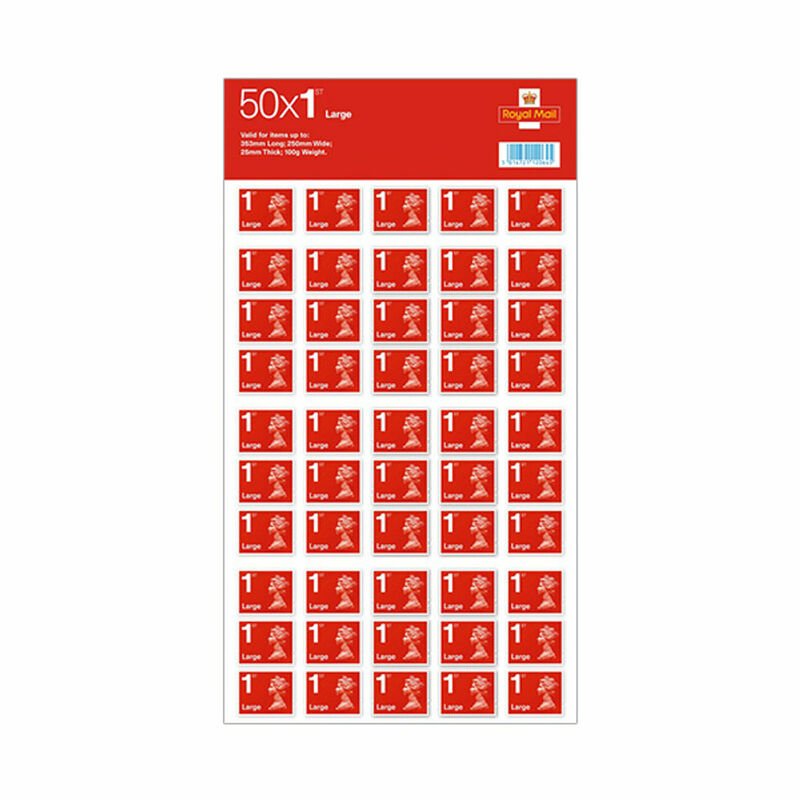 Always be prepared with this Business Sheet of 50 x Large Letter First Class Postage Stamps, ideal for the home, office or to ensure you always have a stamp available when you need one. Total of 50 Large Letter Stamps on a Business Sheet. 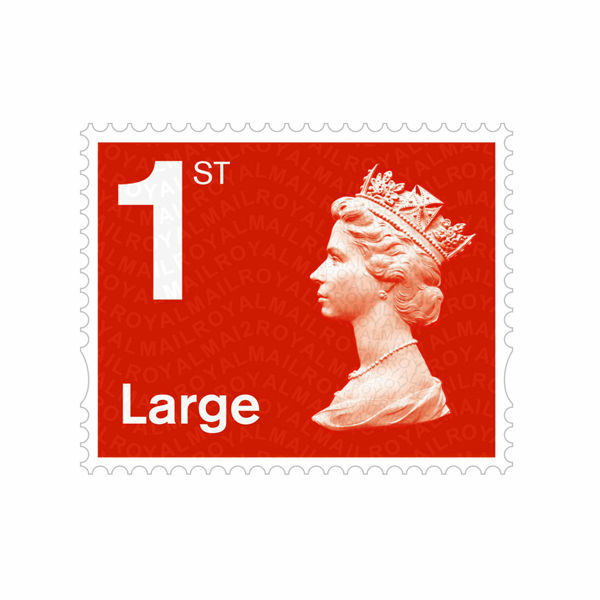 Don’t forget to browse through our other Postage Stamps to view our entire range of 1st Class Stamps and 2nd Class Stamps, where you can choose from and standard size stamps. We have a great range of commemorative and collectible stamps which are also available from the Post Office Shop online.